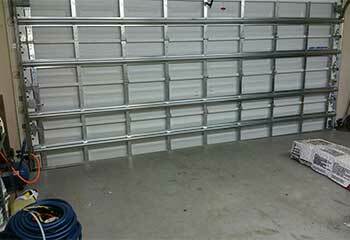 We can repair and install a wide array of styles and designs of garage doors. See some of the latest projects we have completed for examples of the different ways in which our team can help. Customer Issue: Our customer wanted his new garage door installed professionally. Our Solution: After working with Mr. Brady to determine what new garage door would best suit his home and needs, he decided on a Windsor Model 730. Our experts then quickly and carefully installed our customer’s new door into place and ensured it was working perfectly. 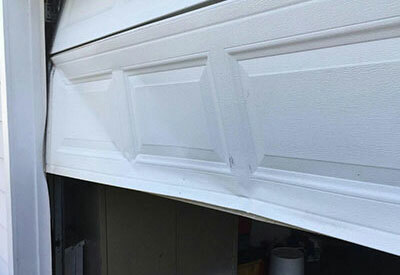 Customer Issue: Ugly dent in the middle of the garage door. Our Solution: As only one panel was damaged and the door was relatively new and not faded, we recommended replacing only the affected section. Using special tools we removed the damaged panel and attached a similar one that we obtained from the original manufacturer. 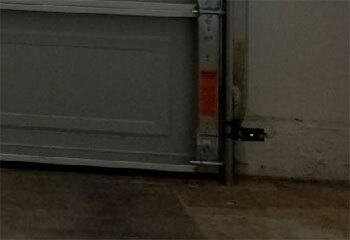 Customer Issue: Garage door gets stuck every time it opens. Our Solution: The issue wasn't immediately clear, as the springs seemed to be working fine and the tracks or rollers didn't show any noticeable damage. After inspecting the cables, however, we discovered some significant fraying that would cause the door to only open up to a certain height. 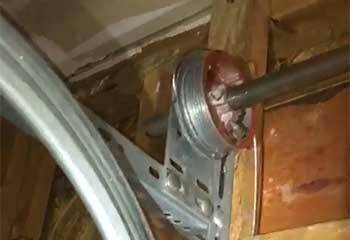 We replaced the damaged components and the problem was solved. Customer Issue: Door unable to close. Our Solution: Our technicians first made sure that the opener's photo eyes were aligned correctly and that their lenses were intact. We then adjusted their position until they faced each other the way they were supposed to, and the door finally closed without reversing.